Here at Creative Cakecraft we can not only provide you with beautiful cakes and models, but we can teach you how to make them yourself! 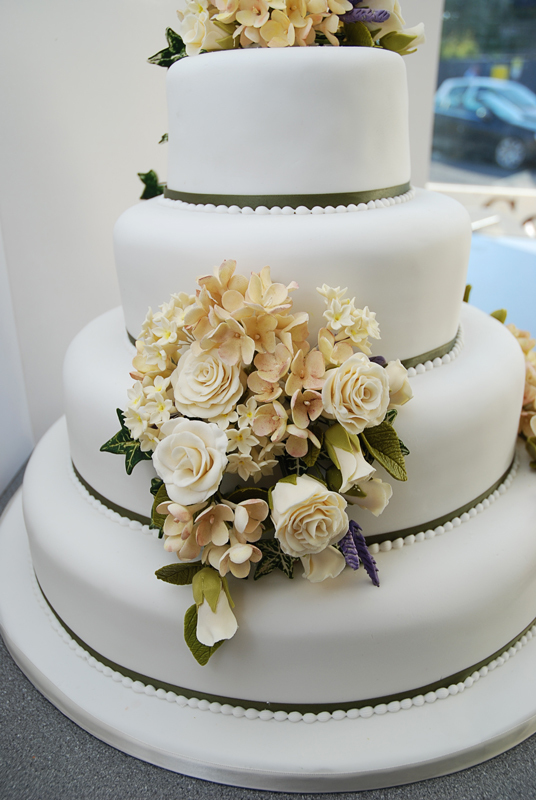 We offer a wide range of courses, you can learn everything from making a sugar paste rose to Disney characters, or even how to make a complete wedding cake from start to finish. 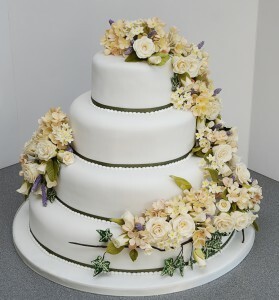 Made by one of our students on the wedding cake class! These courses are a fun way to learn how to make the perfect cake, or the perfect decoration. Some of the things you can learn are great for gifts. or if there is something specific that you would like to do just give me a call and we can book it in. I also offer courses for children 10 and over accompanied by a parent these are priced at £25 per child and for £25 the parent can do the course as well. These can be on a Saturday or a week day during the school holidays. The course is for a maximum of 6 children 8 years and over, plus one adult for supervision. They will decorate 6 cup cakes with fun designs which they will be able to take home. each child will be given 6 cup cakes and the coloured icing and I will show them how to make them in to animals. the course will cost £15 per child and will last 2 hours 10am to 12pm or 2pm to 4pm. I can also make an 8″ birthday cake for your child for just £50. I will require a deposit of £5 per child when booking this is non refundable.